China may be the world’s biggest mobile market, but all eyes in the tech industry are now turning toward India, with its rapidly growing appetite for smartphones. In just the last couple of weeks and months, a string of announcements and stories have cemented the notion that India has now become a primary focus for many of the biggest names in mobile. The reason for that is simple: By 2017, India is poised to pass the U.S. to become the world’s second largest smartphone market. With China’s economy showing some signs of sputtering, and adoption of smartphones in India accelerating, the pace of investment in that country’s mobile market has picked up significantly. Let’s start with today and work backwards. 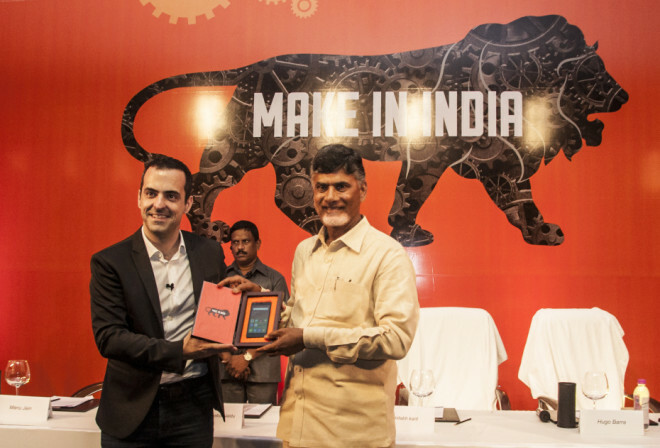 In a ceremony today in India, Xiaomi, the red-hot Chinese manufacturer of smartphones, said it would now begin manufacturing the phones it sells in India within the country. Those phones will be built in partnership with Foxconn, one of Apple’s most important manufacturing partners, which had announced two days earlier a pact to spend $5 billion building new manufacturing facilities in India. Back in late July, a Reuters story explored how Apple was trying to push harder into India. The story noted that India had been a “low priority” for Apple, but that the company’s third quarter this year saw a 93 percent increase in iPhone sales in India. That was the first time the rate of growth in India was higher than in China. However, the company is still in catch-up mode, holding only a 2 percent market share, according to Reuters. In India, Apple has apparently expanded marketing, struck more deals for distribution and partnerships, hired a new “senior executive to take charge solely of the Indian market,” and is now searching for a “policy adviser” to help it navigate India’s regulatory challenges, according to Reuters. Finally, earlier this year, Microsoft executives were talking about their plants to try to reboot Windows Phones by targeting more customers at the low-end and in emerging markets. At the top of that list: India. So far, no one company has a total lock on this market. But the stakes here are huge. Winning or losing this competition could swing the fortunes of many of those tech giants. Meanwhile, it’s safe to say that India and its consumers can expect to benefit from the fierce competition as these tech giants try to win their hearts and minds in the coming years. 2019 © MindsGrid. Designed & Managed by RTSHUB.